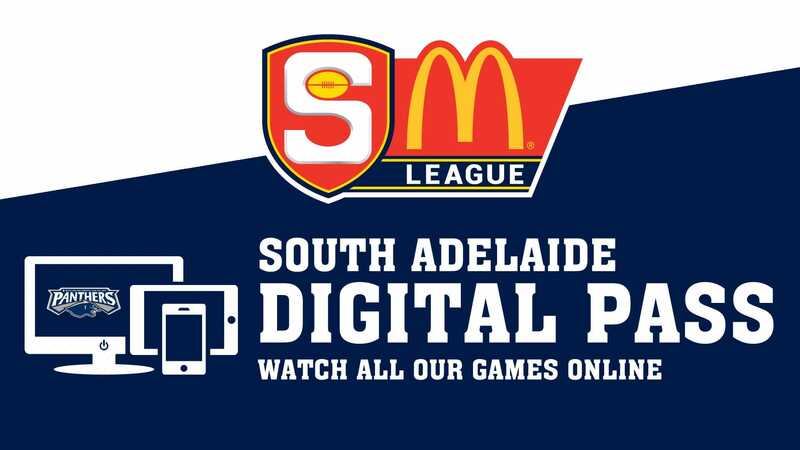 Round 10 SANFL Macca's League action sees South Adelaide do battle with Norwood at Hickinbotham Oval this Sunday afternoon. 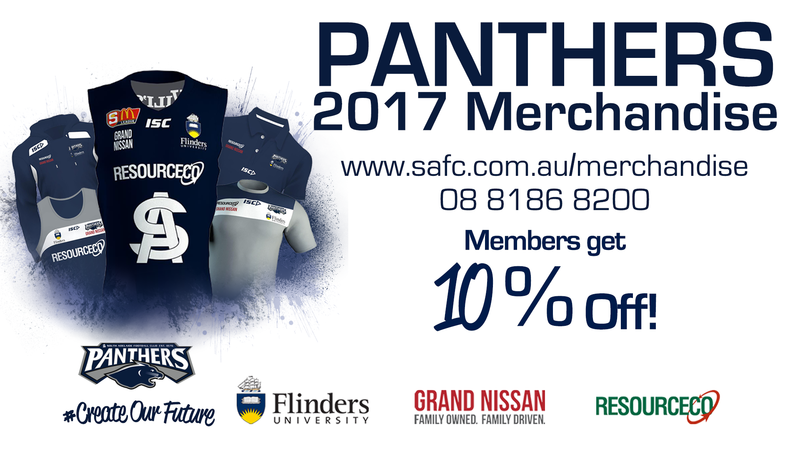 The Panthers made it through Round 9 unscathed on the injury front, with young gun Ben Heaslip the only confirmed omission from the side that tackled the Eagles over the long weekend. Booming left-footer Tom Fields looks set to return to League action, named on a halfback flank after 30 touches and 11 marks in the Reserves big win over Woodville-West Torrens. Also coming into the squad of 23 is young defender Jordan Taylor, who is in line to make his senior debut if selected, and hard-running Richard Newell, who last played League footy in Round 2, but has averaged 29.8 possession per game in six hit outs with the Reserves since. 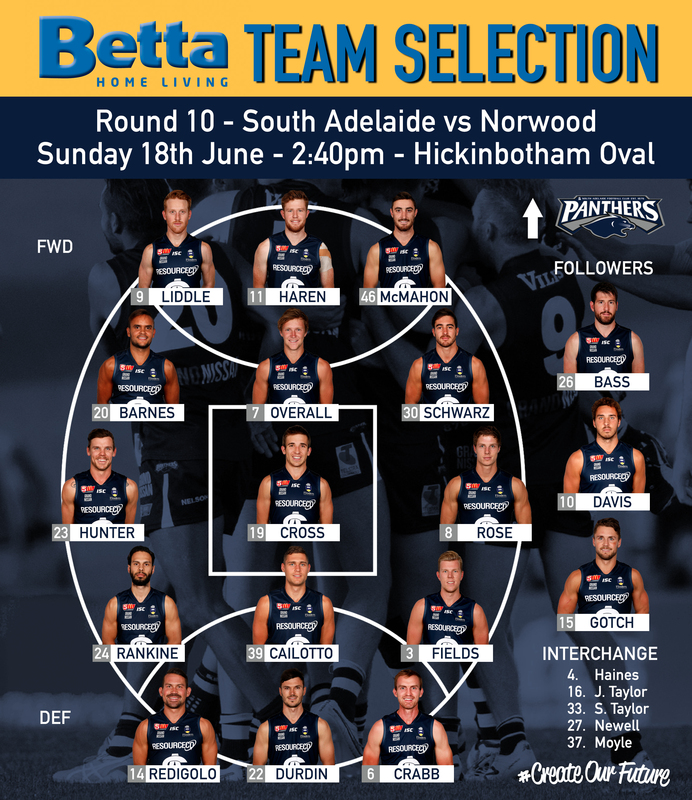 Both have been named on an extended bench that must be cut by two before first bounce. 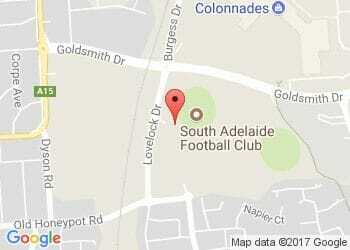 You can Kick 2 Win $500 this Sunday! The Reserves, fresh off an emphatic win over the Eagles, welcome Heaslip back into the mix, while also regaining the services of key position swingman Bryce Damin. However, the biggest story is the return of talented forward Peter Rolfe, who is set to play his first game in 742 days having sat out more than two years since injuring his knee against Woodville-West Torrens on the Queen's Birthday in 2015. The Panthers Under-18s enjoy the bye this weekend after an unbeaten start to the season. 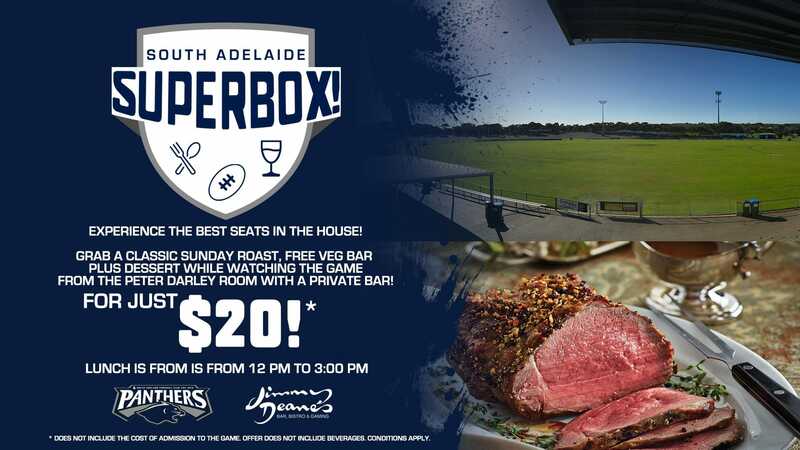 South Adelaide Superbox - Sunday roast with a view of the game for $20!